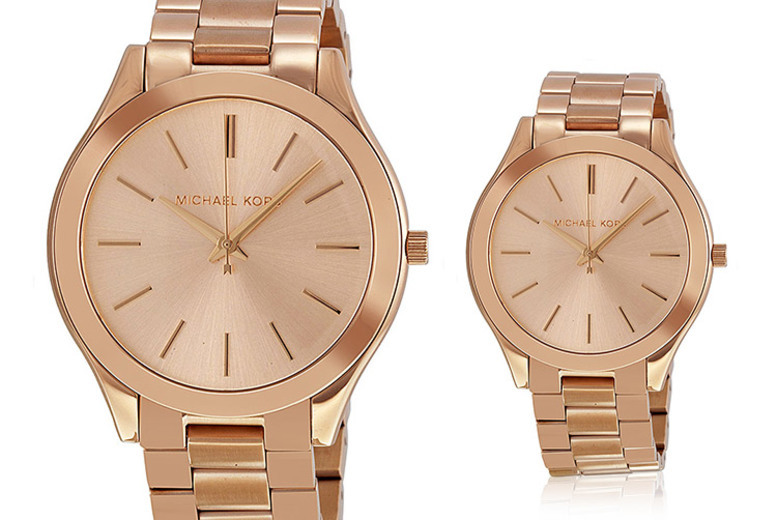 Check out our Michael Kors MK317 slim runway ladies watch! Sparkle in a MK317 Michael Kors watch! Coming in a pretty rose gold colour. With a case width of 42mm and push button clasp. Featuring analogue movement and made with a mineral glass face. Water resistant of up to 50m.